When it comes to feeding my children (and myself! ), I don’t want to waste calorie consumption on foods that simply do not supply my children the nutrients they need. Even “organic” snacks are often highly processed and provide little nutritional value. Of course, sometimes I do purchase these “snacks.” Occasional sanity savers are sometimes necessary in the grand scheme of things! 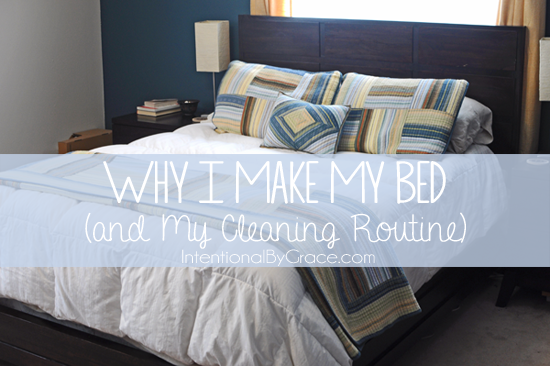 Even though preparing meals and snacks for my babies is exhausting, it is necessary. But it can be made easier with a little preparation. Every morning after breakfast, my toddler and I talk about the snacks he wants to “pack” for the day. Together we choose 2-4 snacks that we can prepare together that will be available to him to choose from throughout the day. Preparing snacks immediately after breakfast has significantly increased the number of nutrition-packed snacks I’ve been able to provide my toddler. Once the day gets going, you can forget about me being able to come up (or put together) anything that resembles a nutritious snack. I learned about this method of snack preparation from my friend, Amy, at Gospel Homemaking. She calls them snack boxes. It’s genius! 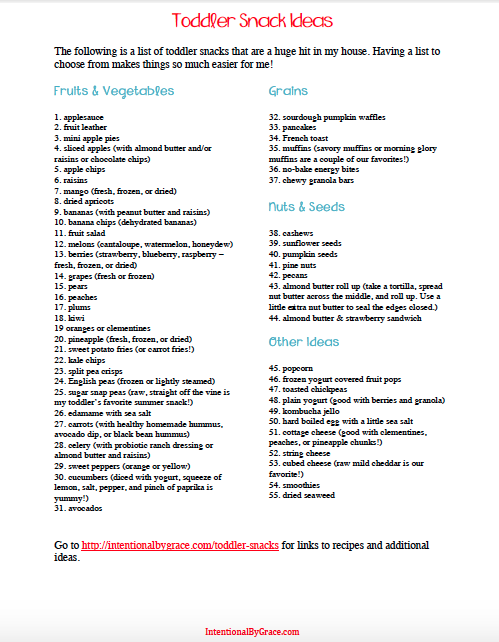 The following is a list of toddler snacks that are huge hits in my house. For me, when I have a list to choose from, it just makes things so much easier! 46. frozen yogurt covered fruit pops – these look so fun! By the way, if you’re interested in the Whole 30 Challenge, then you’ll love this post: How We Did the Whole 30 Challenge with Kids. What are some of your favorite toddler snacks? Want to take this list with you? 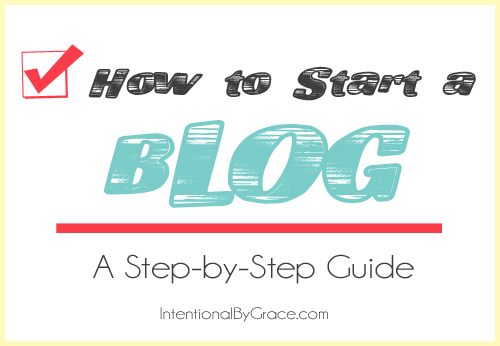 Click the link below to download a free printable! 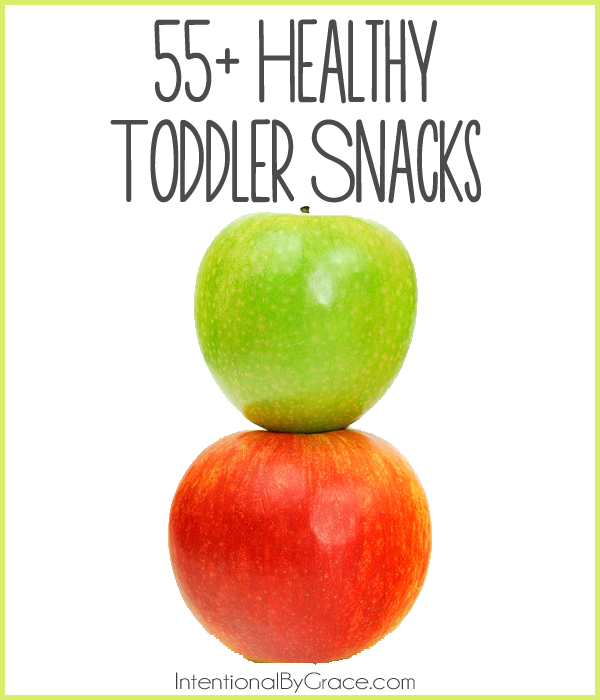 Download Your FREE Toddler Snack Ideas Printable Here! Leigh Ann has exactly what you need for the price of one boxed convenience meal or one drive-thru window order! 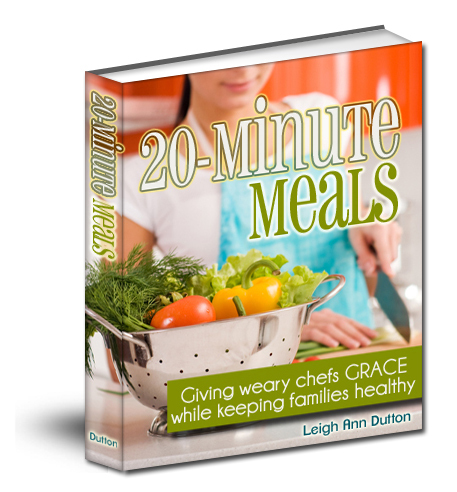 Click here to learn more about 20 Minute Meals: Giving Weary Chefs Grace While Keeping Families Healthy. These are also some of my favorite snacks! 🙂 I’m glad they are helpful for you too!